The author performing an inspection and performance test on the first US nitrogen generator supplying nitrogen to preaction systems in a data center in North Carolina in 2016. The scope and purpose of this article are to show that when the gas produced by a nitrogen generator for corrosion mitigation in dry or preaction sprinkler piping is at least 99.5 percent pure (maximum 0.5 percent residual oxygen), purging (venting) air from an initial pressurizing step is rendered unnecessary. In explaining this important conclusion we start by summarizing the history of the use of generator-produced nitrogen gas for corrosion control in dry and preaction sprinkler systems for the period from 2006 to the present day. The narrative ends more or less as it begins. 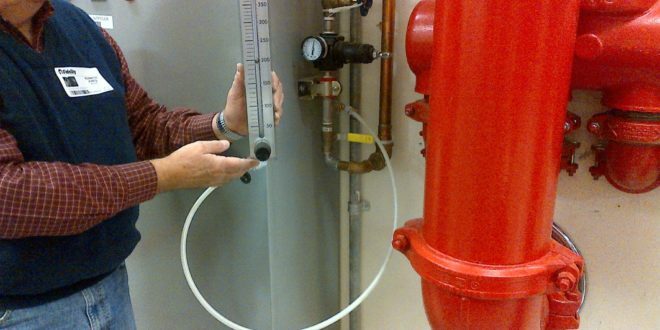 In doing so it reveals that a simple change to an earlier approach benefits the fire sprinkler industry by eliminating the need for venting and thus simplifying and reducing the cost of applying nitrogen gas. In the rest of this paper, use of the term “dry” will apply to “preaction” systems also since they are exactly the same in the context of using nitrogen for corrosion mitigation. Internal corrosion of dry sprinkler piping systems pressurized with air has been a persistent problem from the earliest days of their use. The main cause of this problem is the presence of oxygen (O₂) in the air that is first fed into the piping to pressurize it and in the air that continues to be fed into the piping to make-up for leaks.1 This oxygen, in combination with water that remains in the piping after pressure testing, is the predominant cause of corrosion. It was also recognized very early that by using nitrogen gas instead of air to maintain the pressure in the piping corrosion was essentially halted. However, the use of nitrogen, supplied in the beginning as a very pure gas with essentially zero O₂ content from high-pressure cylinders, was rarely specified because of cost, inconvenience, and associated safety concerns. The production of nitrogen gas from compressed air using gas-separation membranes and also from another technology called “pressure swing adsorption” (PSA) were first introduced to the world in the period from 1975 to 1985. Since then both of these technologies have become more efficient, reliable, and lower in cost. Packaged nitrogen generators, produced with a wide range of capacities, have become available for multiple industrial applications. Inevitably this technology was bound to be recognized as an alternative to cylinders in supplying nitrogen for corrosion control in dry sprinkler piping. This first happened in the USA in 2005 when its use was specified for a new data center built in North Carolina. Holtec was awarded the contract and the system was started up in mid-2006. Membrane type nitrogen generators cannot efficiently produce gas with ultra-high purity so nitrogen at 99 percent purity (1 percent residual O₂) was specified in this first application. Ninety-nine percent pure nitrogen gas, produced by the generator at about 80 psig, feeds into a pair of nitrogen storage tanks that supply a total of 13 sprinkler systems in two riser rooms. This generator still operates flawlessly with no problems of corrosion being encountered in the sprinkler systems. Samples of pipe taken from one of the systems in 2013 were examined by a corrosion testing laboratory and found to have lost no metal to corrosion. In 2007 two more units were supplied by Holtec to another data center, this time in Illinois, and these were PSA type generators again making 99 percent nitrogen. In 2014 the galvanized piping at this Illinois location was examined internally by corrosion specialists and found to be in excellent condition. In 2008 the significant business potential for nitrogen generators in dry sprinkler systems became recognized. One of the first activities was to look at ways to minimize cost since this was considered to be a major hurdle to widespread introduction. The first approach was to look into lowering the purity of the nitrogen gas since this directly leads to smaller generators. Some advice suggested that 95 percent purity nitrogen (5 percent residual O₂) would still be adequate for preventing corrosion. Six months into a 12-month test using this strategy in a real sprinkler system showed the level of protection to be extremely limited and almost no better than if air had been used! The nitrogen purity was then increased to 98 percent. The second development area was related to the NFPA requirement that a dry sprinkler system must be pressurized to 40 psig within 30 minutes when being brought on line. Since the volume of compressed air used by a membrane-type generator is three to four times that of the nitrogen produced, using the air rather than using nitrogen to first pressurize the sprinkler piping was seen as a way to save cost. This air would then be purged out of the piping over two to three weeks using controlled venting to avoid corrosion from the O₂ in this initial charge of air. These two principles became the basic approach to the technology from about 2010 on. However, in mid-2013, having observed the excellent results on pipe samples recovered from the 2006 North Carolina Data Center installation, Holtec chose to return to 99 percent pure nitrogen gas as was used in the systems from 2006 and 2007. Thus the level of O₂ exposure in the sprinkler piping was halved in comparison to 98 percent nitrogen gas. •	NFPA rules allow “new” dry sprinkler system to leak to the extent that pressure in a system is allowed to fall from 40 psig to 38.5 psig in 24 hours. For “existing” systems, the allowable fall in pressure is to 37 psig in only two hours. This means that “existing” systems are permitted to leak at a rate that is 24 times that of “new”! In early 2018, (in hindsight something that could have been carried out much earlier by Holtec, or indeed by any of the players that had become active in this arena), we made a series of calculations based on the above technical principles to investigate the link between the two main sources of O₂ entering the piping and their potential contribution to the corrosion process. To recap, these sources are, (A), oxygen in the initial pressurizing air, and (B), residual oxygen contained in the nitrogen gas being fed into piping to maintain pressure as leakage occurs. Now follows a summary of each of four calculations that demonstrate the conclusions reached. Each assumes a 500-gallon dry sprinkler system operating at 40 psig. 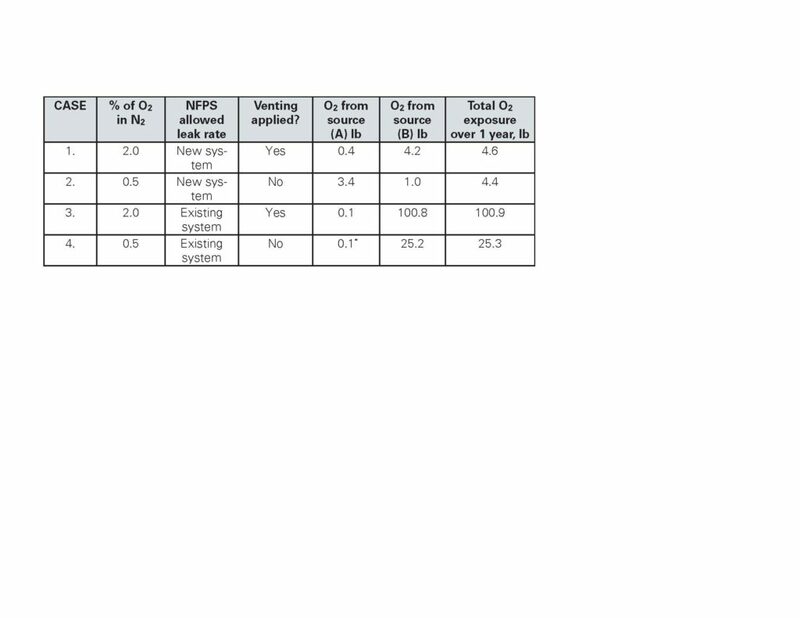 The different cases compare oxygen exposure with “new” and “existing” leakage rates and also 98 percent nitrogen with venting, and 99.5 percent nitrogen without venting. Case 1 A new sprinkler system is first pressurized with air, the air is purged out by a venting process, and then for one year 98 percent pure gas nitrogen gas is supplied to overcome leakage at the NFPA allowable rate for “new” systems. The calculated total amount of O₂ the piping would be exposed to is 4.6 lb. Case 2 In this case the same new system is first pressurized with air but the air is not purged out. The system is also operated for one year with the same “new system” leakage rate as Case 1. In this case the nitrogen maintaining the pressure is 99.5 percent (only 25 percent of the O₂ content compared to Case 1). The calculation for this scenario shows that the system would be exposed to a little less O₂, this time 4.4 lb. Case 3 Repeating Case 1 with 98 percent nitrogen but now assuming an older system that leaks at the maximum NFPA allowable rate for an “existing” system, the weight of O₂ exposure to the piping increases to 100.9 lb. Case 4 Repeating Case 3 still assuming the system is older and leaks at the maximum allowable rate for an “existing” system but this time using 99.5 percent pure nitrogen, the weight of O₂ exposure is 25.3 lb – a significant reduction! Figure 1 provides below is a summary showing the relative quantities of O₂ from the initial pressurizing of the system (A), (with and without venting as indicated), and as a contaminant in the nitrogen fed into the piping for pressure maintenance (B): Note at this point that for every 1 lb of O₂ entering the piping about 2.3 lbs of steel is potentially converted to rust! Figure 1. The relative quantities of O2 from the initial pressurizing of the system (A) with and without venting as indicated, and as a contaminant in the nitrogen fed into the piping for pressure maintenance (B). *This low value is because the high leak rate in this case acts just like venting! It is now clear that the O₂ introduced in the nitrogen gas as the systems leak is the greater source of oxygen, especially so for systems that leak more. Thus by increasing the purity of the nitrogen from 98.0 percent to 99.5 percent, the justification of venting the initial air is rendered unnecessary. Calculations made for different system volumes and operating pressures produce similar conclusions. Looking at the effect on the cost of the generator, when making higher purity nitrogen, a generator produces less of the gas. On the other hand, eliminating the need to supply the additional flow of gas used during venting means less nitrogen is needed. Thus, on balance, there is little change in the size/cost of the generator itself. The real benefit of taking this approach is that it will save the fire protection industry the cost of venting devices, as well as their installation and maintenance. Overall, this represents a significant process simplification as well as significant saving in cost while improving the level of protection provided. •	Leakage of any kind is something the fire suppression industry spends great time and expense to avoid. Venting and associated components add additional potential leak sources. •	In some versions of the venting systems being offered, a vent line has to be run from a remote part of the piping to a suitable discharge location. This effectively represents even more additional cost with no benefit. •	Installing vents at the highest point in the sprinkler piping, as is practiced by some vendors, creates access difficulties that make it difficult to monitor the vent for correct operation of the device and make any necessary any repairs. In conclusion, we have returned to the simpler starting point of the technology from the period 2006/2007 that did not utilize venting, except that now the nitrogen contains only 50 percent of the amount of oxygen used back then and, significantly, only 25 percent compared to most other nitrogen generator suppliers currently serving the industry. ABOUT THE AUTHOR: Ken Jones, a chemical engineer who graduated from The University of Wales, Swansea in 1966, has lived and worked in the USA since 1987. 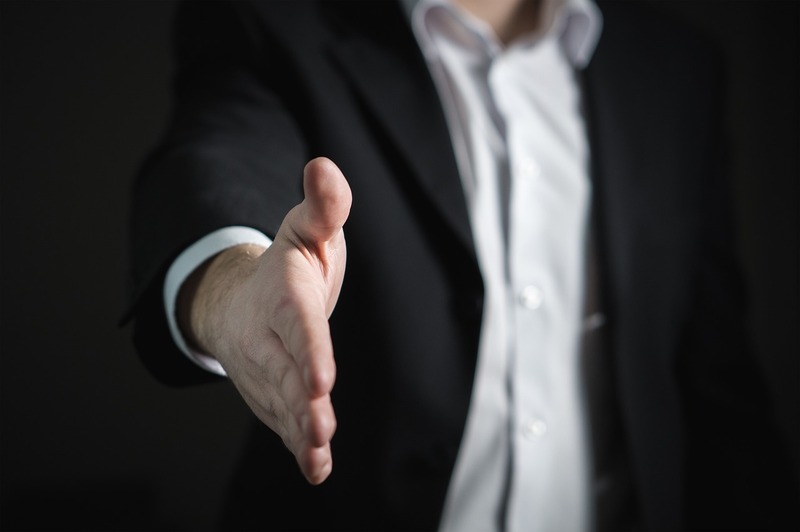 He is the chief operating and technology officer and part owner of Holtec Gas Systems LLC in Chesterfield, Missouri, and has held this position since he joined the company in 2007. Prior to this, he spent 41 years working for Monsanto Corp. and later Air Products & Chemicals Co. The last 26 years at these companies were spent in various roles associated with membrane technology-based gas separation worldwide. To contact Jones, email kjones@holtecllc.com or visit Holtec’s website at holtecllc.com. 1. Leaks from dry systems are almost inevitable due to the hundreds of joints required in their construction and are accepted because of the difficulty of tracing them. Leaks in water-filled systems are self-evident and easily corrected.